Johnson&Johnson ACUVUE® Vita Contact Lenses (3 Pack) - A monthly disposable daily-wear lens. New HydraMax™ Technology is a non-coated silicone hydrogel formulation balanced to help MAXIMIZE and MAINTAIN hydration throughout this lens. Designed for reliable, superior comfort - all month long. 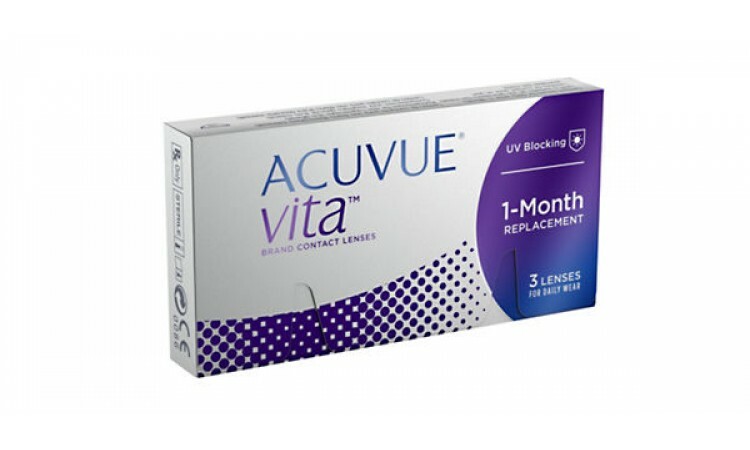 If you are looking for contact lenses that offer ultimate comfort and easy maintenance, ACUVUE® Vita is a great choice. ACUVUE® VITA® is the ONLY monthly contact lens that meets UV standards among all leading monthly brands.